Wedding is the most important event of one’s life as one begins to live a new phase of life that changes the entire life into a romantic journey in which two souls promise to live and die together. Everyone dreams to have ones best look on the wedding event. 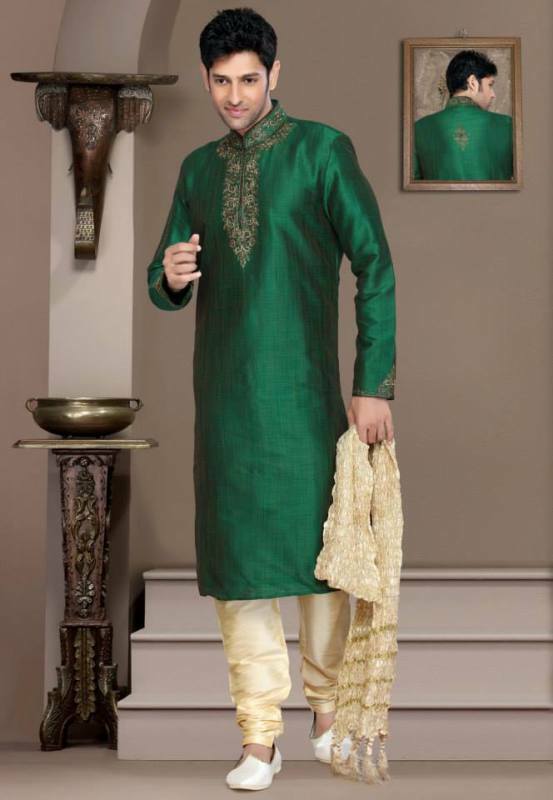 For this wear Dulha Mehndi Kurta New Designs on this major day of wedding. 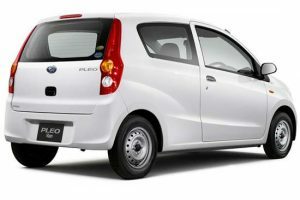 Not only bride but also the groom wants to look different and gorgeous on their wedding. All the wedding functions have their own dress code according to the traditional norms of the country. The mehndi function is known for its fun, masti, party, dance and music in Pakistan. All the young girls and boys are eager the attend the Rasm-e-Hina ( mehndi) ceremony of their friends and cousins. 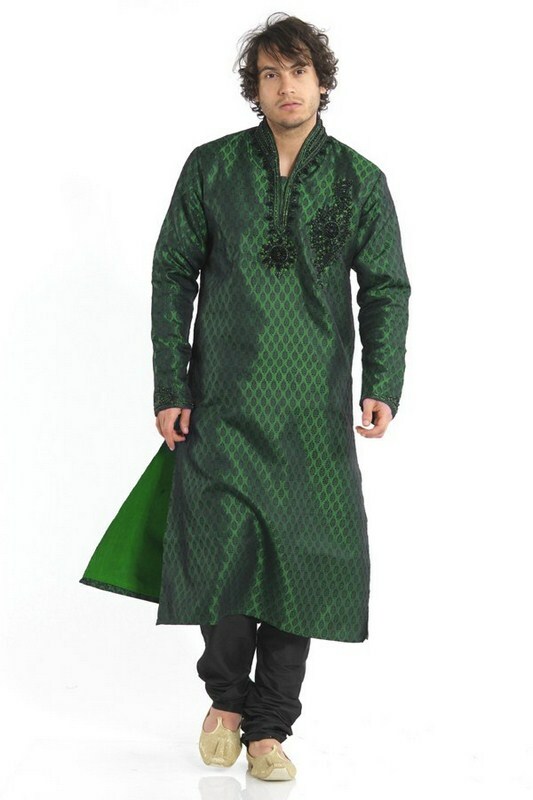 Many families also gift the same dresses for the cousins of the groom to wear on the mehndi function. 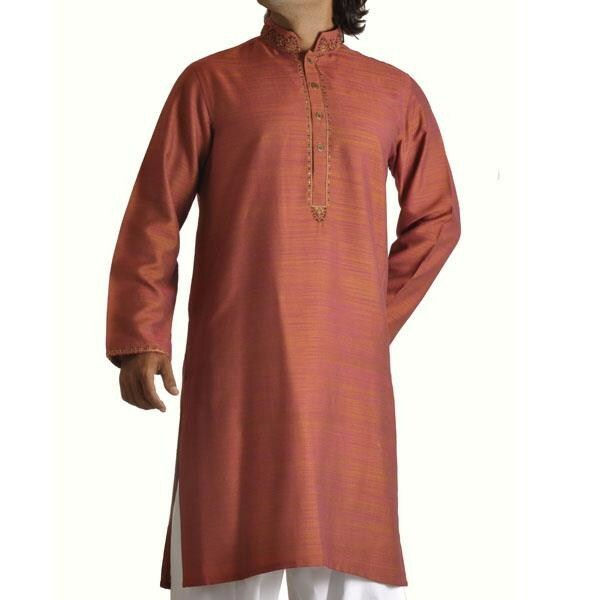 Usually it’s a traditional kurta shalwar with a shawal (patkha). 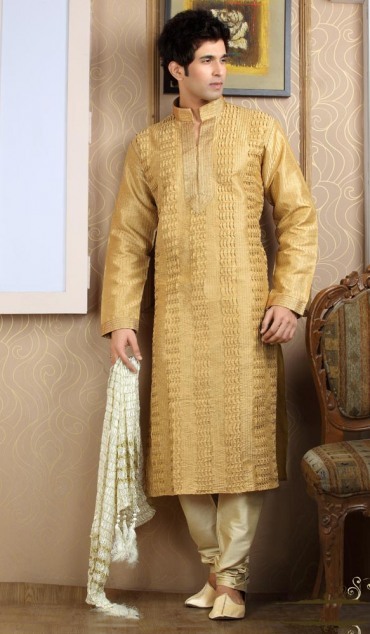 The outfit of groom is usually different from the others and is heavier and more stylish according to his demand. 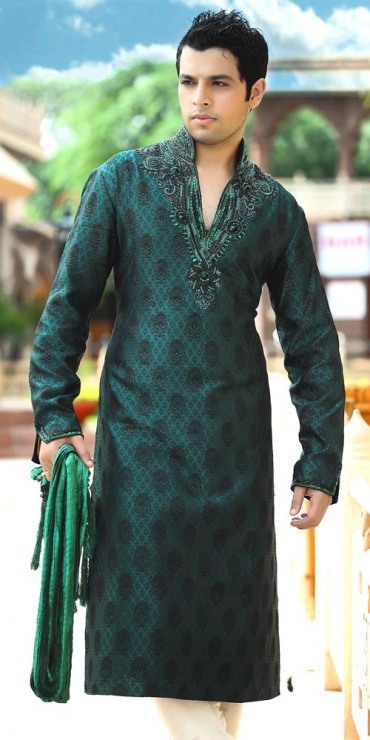 Those men, who are planning for their or their friends wedding, must read this article because it contains many latest ideas about the kurta styles for men and the groom Dulha Mehndi Kurta New Designs to wear on mehndi. The ideas will help you to design the perfect dress for mehndi function. 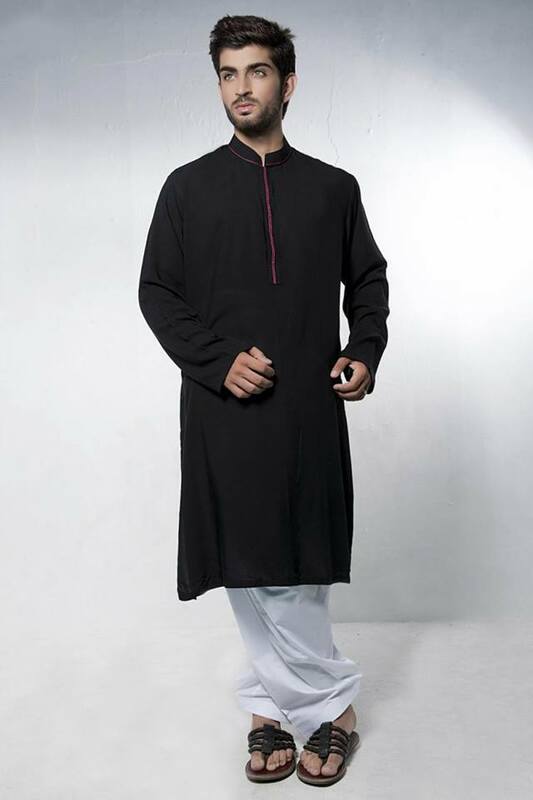 The fashion of bright or dark color kurta with white shalwar or pajama is still seen in the latest collection of various designers. The colors like ink blue, maroon, black, brown are recommended for the cousins and friends of the groom while the comparatively lighter tones are perfect choice for the groom. 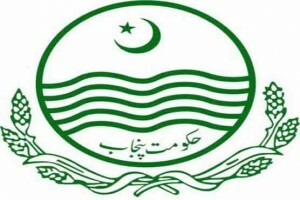 The fabric can be guff or cotton based according to season. 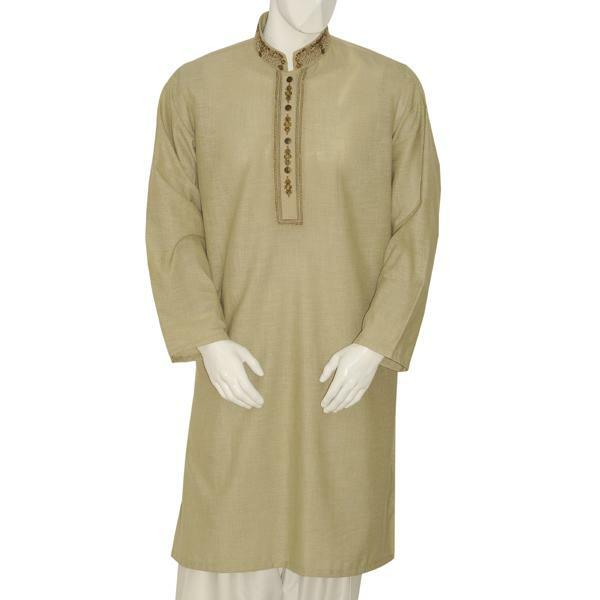 For more fancy look of Dulha Mehndi Kurta according to new designs you can go for skinny fabric look like raw silk, kataan silk, jamawar etc. 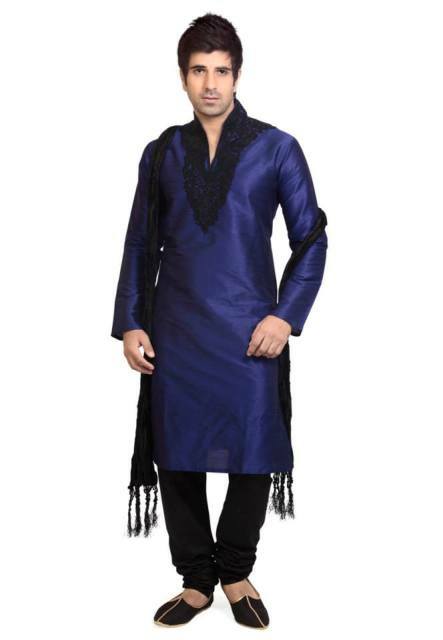 the velvet waist coat on the kurta can make a statement for you.